Who doesn't want a pool table, reclining chairs, plenty of greenery, and even a slide at work? 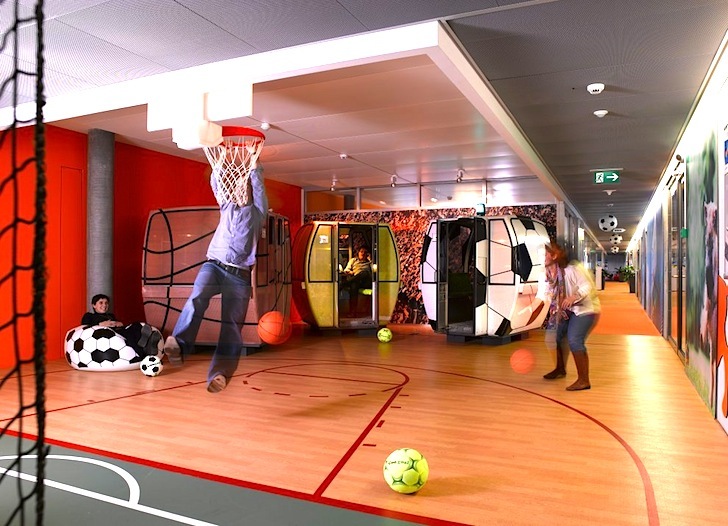 That's what employees at Google's EMEA Engineering in Zurich asked for when they were encouraged to voice their emotional and practical needs in a design-led survey on how best to transform a local brewery into 12,000 square meters of office space. Collectively, the 800 staff members were willing to sacrifice their personal office space for larger, more colorful collaborative space - and the result is a zany mishmash of funky pods and thematic rooms that receive loads of daylight. Lest you think the Zooglers doodle all day surrounded by so many potential distractions, it turns out that instead this adaptive re-use project by Camenzind Evolution promotes serious creativity and innovation. The local brewery has been transformed into a mixed-use development complete with office, residential, and retail space as well as a spa hotel. The Google offices take up a large portion of said space, reflecting the company’s rapid expansion. But nobody wants a cramped work environment with no personality so Google handed over the reigns to the Camenzind Evolution team, who were tasked with something completely original for the Zooglers. Despite the fact that Google is one of the best-funded companies on the planet, both time and budget were constrained, so the designers had to be creative. They incorporated small and heterogeneous pods for smaller office space, thereby maximizing efficiency, and created open plans for larger collaborative areas. Also, by using glass to demarcate boundaries – and allowing plenty of daylight to pulse through this lively environment – Camenzind gave energy consumption the chop. And finally, because everybody needs to breathe, a healthy dose of greenery has been scattered throughout. I love the creativity, very cool. 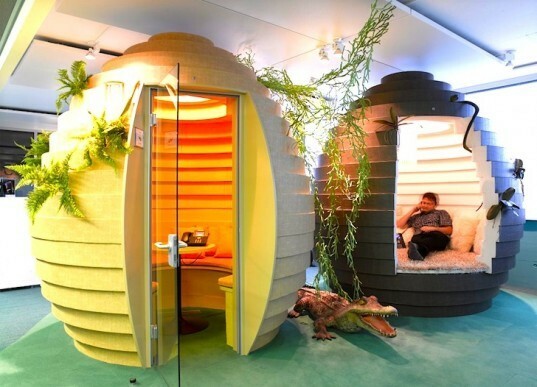 This may well be the coolest office we've ever seen!